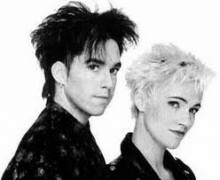 Roxette is a Swedish pop music duo, consisting of Marie Fredriksson (vocals) and Per Gessle (vocals and guitar). Formed in 1986, the duo became an international act in the late 1980s. Dutch 2-track CD, card p/s with tiny laminate loss on back, from the soundtrack Super Mario bros.
CD 1994 Favorites from Crash! Boom! Bang!